With more and more women entering into STEM (Science, Technology, Engineering, Mathematics) hobbies and careers, I always like to find books I can recommend to my students who have taken an interest in science, engineering, or computers. 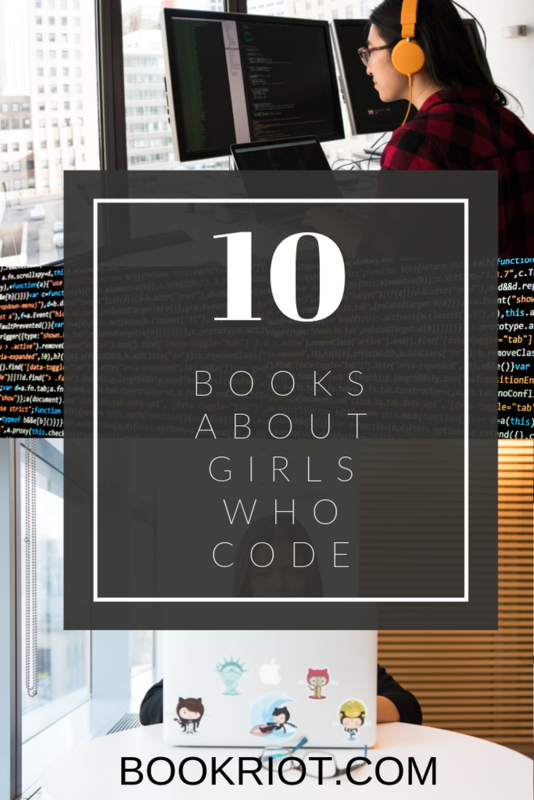 Books about or for girls who code can be difficult to come by, but here are ten books featuring girls who code that might inspire the coding phenom in your life. This novel is about a teen named Charlie who has always felt like she doesn’t quite fit in. But when Charlie learns how to code, she finds her niche. Charlie develops her own fashion app and launches it with the help of a team of friends. However, when someone tries to sabotage her app, is Charlie up to the challenge? 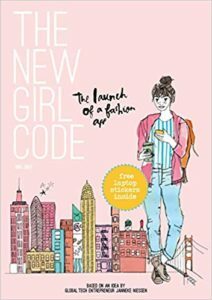 Told through diary entries, illustrations, and lists, this is the perfect book for teen girls who code! 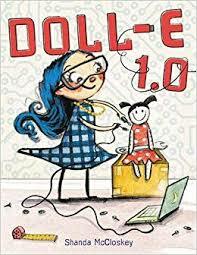 This books tells the true story of two girls who met at a teen coding camp and worked together to create their own video game. This is a relatable, funny read, and a great book for aspiring teen coders! 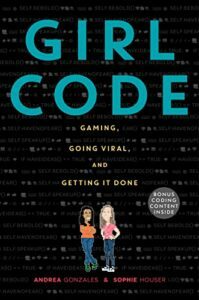 This is a how-to book for tween and teen girls who want to learn how to code. The book is upbeat, has quirky illustrations, and highlights various women in coding and science. Girls Who Code pairs humor with easy-to-follow directions on how to code. 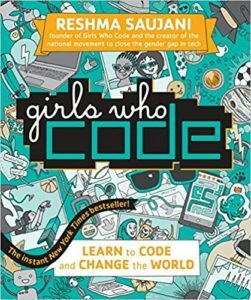 Though not solely about girls, this is a great book for teens who want to dig deep with coding. 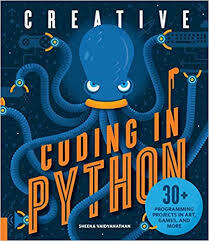 With 30 different coding activities that can be done in Python, a free programming language, this book is a whimsically illustrated guide to learning to code. 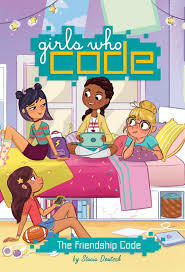 This is the first in a series of middle grade fiction books about a group of middle school girls who learn to code, and learn a lot about friendship in the process. I like the diverse group of girls and the humor in this book. This is the perfect book for tweens interested in coding! 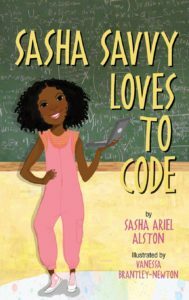 This is an easy chapter book about 10-year-old Sasha, who reluctantly takes a summer coding camp with her friends. Sasha finds out that she really likes coding, but can she keep up with how challenging it is? 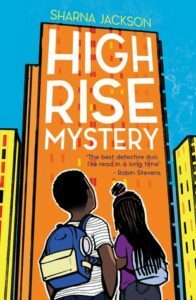 This book is great for 7–10-year-olds who want to see a STEM role model their own age. This delightful picture book is about Charlotte, a little girl who loves all things tech. Charlotte loves to code, tinker, and create. But when she receives a doll as a gift, she doesn’t know what to do with it! Then Charlotte decides to use her tech knowledge to give her doll a little upgrade! 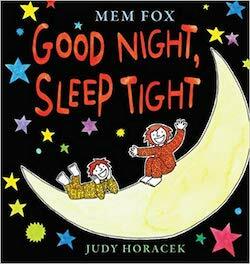 This is a great book for kids ages 5–9. Pearl is at the beach, and she keeps trying to build the perfect sandcastle, but it keeps getting destroyed. 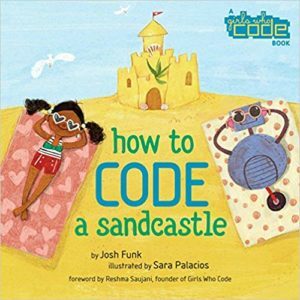 Pearl and her robot Pascal figure out a way to use code to create the sandcastle they’ve been dreaming of. With colorful illustrations and a simple example of coding, this is the perfect picture book for ages 5–8. 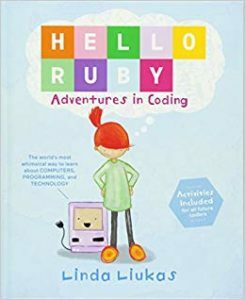 Follow redhead Ruby and her robot friends on a coding adventure! Ruby is a girl with a big imagination and a knack for tech. She has to figure out some tough clues, and she demonstrates how to use coding concepts to solve problems. 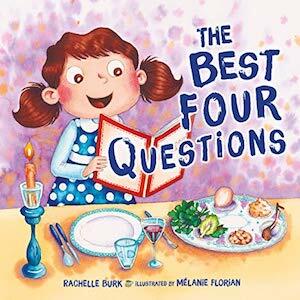 This book is part story, part activity book, and it’s sure to be a hit for kids ages 7–10! 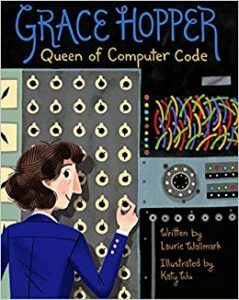 This picture book biography tells the story of Grace Hopper, a computer coder who helped create COBOL. The intro of the book describes Grace as “a software tester, workplace jester, avid reader, naval leader—AND rule breaker, chance taker, and troublemaker.” This story and its illustrations will draw in readers of ages 7–10. There are many benefits of nursery rhymes. Rhymes and repetition help children develop hearing awareness, build memory capabilities, and understand language and concepts. They teach children about narrative structure and stories, and how there are beginnings, middles, and endings. They encourage imagination. They help develop attention spans. They form a link between generations and are a way to preserve culture, as the same nursery rhymes are often known and recited by grandparents and parents. You can read more about the benefits of nursery rhymes here, here, and here. If you want to read nursery rhymes to your baby or toddler, there are many great collections of nursery rhymes. I’ve put together a short list of books that are a little bit different. These books feature nursery rhymes or nursery rhyme characters, but are not your standard nursery rhyme compendium (though I would also suggest that a traditional compendium of nursery rhymes also has a valid place in a child’s library!). One of my favourite nursery rhyme books. Bonnie and Ben are being looked after by their favourite baby-sitter, Skinny Doug. It’s bedtime, and Skinny Doug recites various nursery rhymes. The nursery rhymes are woven into the story, so there is a plot and characters that scaffold the nursery rhymes. Bonnie, Ben, and Skinny Doug return in this sequel to Good Night, Sleep Tight. 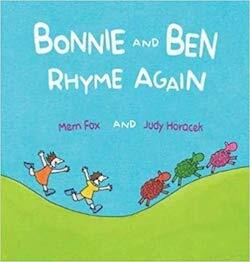 Bonnie, Ben, and Skinny Doug go for a walk, reciting rhymes and collecting nursery rhyme characters along the way. Another one of my favourite nursery rhyme books. 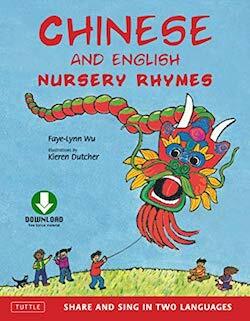 This is a fun book that pairs English nursery rhymes with similar Chinese nursery rhymes. There is a phonetic guide to the Chinese and an accompanying CD for learning the Chinese nursery rhymes. 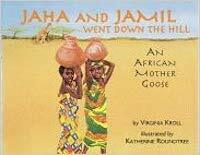 This is a collection of Mother Goose rhymes with an African twist. Familiar rhymes and rhythm are adapted to sights, sounds, and people of each country in Africa. “What is your favorite color?” is a big conversation starter among my 14 preschool students. Most answer with a simple blue, pink, or orange, while at least one claims taupe as a favorite and another prefers sea foam green. Kids quickly bond over favorite colors and learn to respect the color preferences of others. They also love reading, listening, and looking at books about colors. Below, you will find 21 children’s books about colors that get the green light and will have any preschooler tickled pink after reading! What are some items that are red? In this simple and beautiful board book, Meritxell Marti introduces children to such red things as stage curtains, ladybugs, and even The Grand Canyon. Both English and Spanish words are given for each item. After exploring this book, check out the rest in the series: Green Verde, Blue Azure, and Yellow Amarillo. 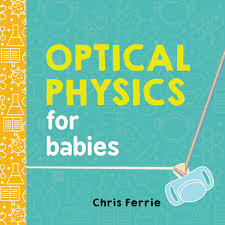 This a great book for babies, preschoolers, and even adults for introducing optical physics. Through easy words and straightforward but effective illustrations, Chris Ferrie introduces a complex topic. Reflection, refraction, and rainbows demonstrate the creation of colors. This is a must-read for pint-sized scientists and their full-sized parents who may need a refresher on the physics of color. Ellie the Elephant and her paintbrush take little artists on a trip through brilliant colors. She illustrates how colors work together to form pieces of art. Cute illustrations, bright colors, and simple text make this a quick favorite of the preschool set. Holi is the festival of colors and the festival of love. 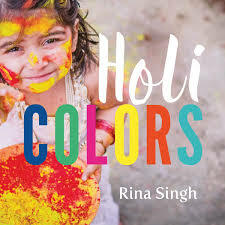 In this little book, a mother explains where the bright colors of Holi come from. 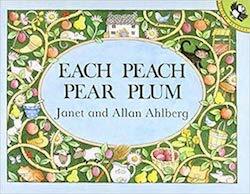 Small children will delight in the colorful photographs and beautiful, rhyming text of this sturdy book. Young children who love the Little Owl books will love learning colors with him. Little Owl ventures out during the day and discovers that the world is full of colors. 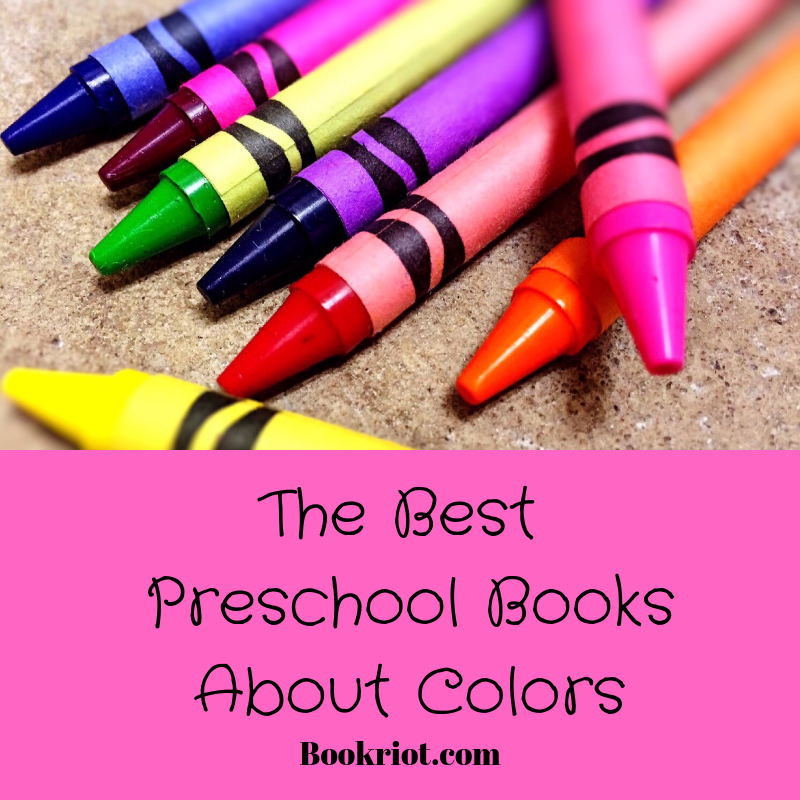 Blue ponds, green grass, yellow bees, and purple butterflies show the youngest readers that colors are all around us! 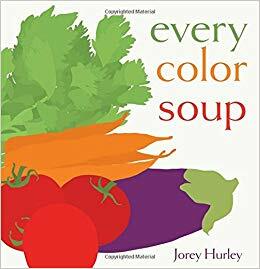 This simple how-to teaches young chefs and readers how to make a colorful vegetable soup. All they need is a pot, some purple eggplants, orange carrots, white garlic, and other yummy, fresh ingredients. Chop and drop the veggies in the pot. Let the soup bubble on the stove. Yum! “Holi is a festival of fresh starts. And friendship. And forgiveness.” It is also a colorful celebration during which families and friends throw colorful powders on each other. In this book, Chintoo and Mintoo gather red hibiscus, purple orchids, orange marigolds, and other vibrant flowers. They dry the flowers and then make colorful powders to use during the festival. When the children arrive at the festival with their family, the rest of the neighborhood is there shouting, dancing, and celebrating amidst a colorful fog. Eric Carle begins his book with a brief history of color theory and how Johann Wolfgang von Goethe determined that there are primary colors and secondary colors. He also discovered that each color has a complementary color. It is on this theory that Carle bases his book. The story is simple. 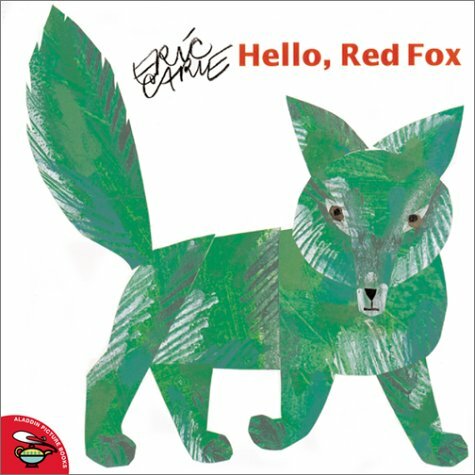 Little Frog invites his friends, including Red Fox, Purple Butterfly, and Orange Cat, to his birthday party. When each animal arrives, Mama Frog notices that the animal is a different color than its name. Red Fox is green, Purple Butterfly is yellow, and Orange Cat is blue. Little Frog helps Mama Frog and the reader see the animal’s true color with some very simple instructions. This is a great book for helping children slow down and concentrate while enjoying a fascinating visual trick. This interactive book invites young readers and artists to mix, swirl, and splatter paint. Tullet instructs his audience to take small dabs of one color and swirl it with another color. Young children quickly see how primary colors mix to create secondary colors and beyond. Keep this book near a pad of paper and some finger paints. This book breeds colorful inspiration! 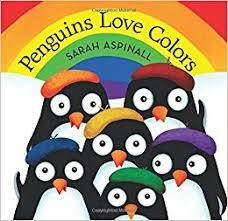 Six little penguins love colors. Their mama does too! That is why she named them Tulip, Tiger Lily, Dandelion, Violet, Bluebell, and Broccoli—all after colorful flowers. When the little penguins each paint a flower on the snow to celebrate Mama’s birthday, Mama has to guess which penguin painted which flower. Young readers love naming the flowers and figuring out which flower belongs to each penguin. They also love the name Broccoli! There are always lots of giggles when the name Broccoli is read out loud! Marisol is an artist. Her classmates, teachers, and friends all love Marisol’s artwork, her gifts of art supplies, and her colorful clothing. When the class agrees to paint a mural in the school’s library, Marisol is the most excited! As friends brainstorm about painting the ocean and fish, Marisol proclaims that she will paint the sky. When she realizes that there is no blue paint, Marisol worries about how to create her vision. Marisol observes the sky as day turns to night and as gray clouds cover the sky. She realizes that the sky is not always blue and then creates her own “sky color.” This is a beautiful little book about creating something beautiful that challenges our common perceptions. Monsters love colors! Even more, they love making new colors! 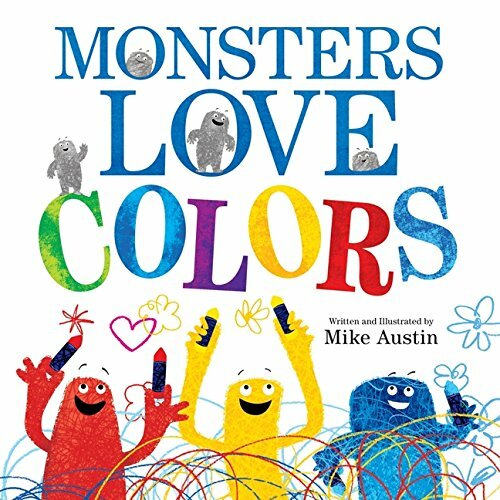 In this book, monsters mix, mash, splash, squish, mish, and squash the primary colors to make new colors for their friends. One little monster can’t pick just one color to be and finally decides to be “Super tropical mega monster rainbow swirl with raspberry on top!” Monsters scribble, drip, and dribble their colors to make the little monster’s vision a reality! Seven blind mice venture out one by one to explore something strange by their pond. Red Mouse thinks there is a pillar by the pond while Green Mouse believes it is a snake. White Mouse is the last to visit the “Something.” Bravest of them all, she runs up, over, and along the thing and realizes that you need the whole story to truly understand something. A little kitten asks the simple question, “What is my favorite color?” She lists and describes lots of choices and finally declares that orange is her favorite color because orange is the color of her mother. Jane Cabrera’s illustrations are bright and full of bold brush strokes that capture the spirit and movement of kittens and children, too. This is my new favorite kids’ book and I think is a must for all home and classroom libraries! At the beginning of the story, there were three colors: Reds, Yellows, and Blues. Everyone lived together in their city until each color declared themselves the best out of all of the colors. They started living in separate parts of the city. One day, a Yellow and a Blue started talking and realized that they were happiest around each other. They decided to mix and began a color revolution. By the end of the book, the whole rainbow is represented throughout their city! 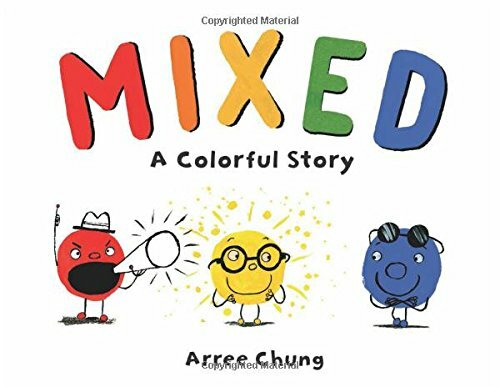 Chung’s simple black and white backgrounds and adorable, colorful blobs illustrate a story that stresses that everyone should be loved and treated equally. Humming, shimmering, snoozing in the lazy haze. Dancing on water with yellow and green. In summer, Blue grows new names: turquoise, azure, cerulean. These are lyrical poems to read snuggled up together on a park bench or on a picnic blanket next to a colorful garden. A colorful freight train slowly starts its journey from the switching yard to its destination. Donald Crews introduces each car in this long, steam-powered train. As the book continues, the train picks up speed, traveling quickly through a tunnel, near a city, and across a trestle. The colorful train cars blend together until the train travels out of sight. 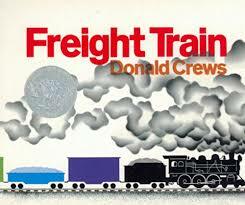 The youngest train buffs will long to read this vibrant book over and over. 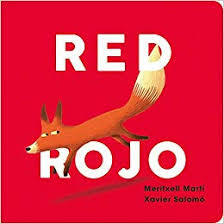 Spanish and English intertwine in this color book written in simple rhymes. “Brown is a churro, blue is the endless sky above, and the world is a rainbow of wonder and fun!” After reading this book, little readers will notice the ribbons of colors that make up their own worlds. Little peas may be green, but they inhabit a colorful world. 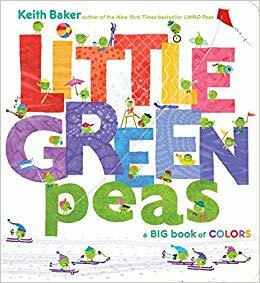 Each color has a full page spread and the peas revel in lots of bright-colored activities. Blue boats, green vines, purple skies, and little green peas. Adorable illustrations show the little peas living their best lives amidst a vibrant world! Three dancers with red, yellow, and blue scarves appear from behind a rainbow striped curtain. They begin to dance, swirling their scarves behind them. As the music flows, the colors in the scarves mix, creating secondary colors, tertiary colors, and even black. At the end, the dancers thank their audience and young readers will applaud their artistic interpretation of the color wheel. 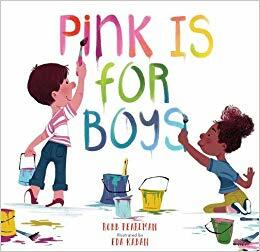 In this book, young children discover that pink is for girls, and boys, and everyone! So are blue and green. Joyful and nostalgic illustrations show boys and girls dancing, playing baseball, and enjoying dressing up. This book helps kids realize that boy colors and girl colors could be a thing of the past. What are your favorite children’s books about colors? Share your favorites in the comments! Also, is your preschooler craving more books? 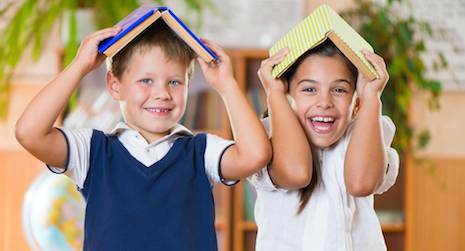 Find some more great books on this list of 50 Must-Read Books for Preschoolers. I began teaching middle school students in summer enrichment classes soon after I finished college. From the beginning, I had trouble. I knew that lots of tweens were reading post-apocalyptic, highly gory books that were well known and well loved in the adult world, but I didn’t know what kids I’d have in my class. It was frustrating worrying that I might introduce them to literature that was actually great, but would be a far cry more violent than anything they’d ever read. I have found this problem in a lot of places; for instance, I think Feed by M.T. Anderson is amazing social commentary. It is essential reading for kids growing up as digital natives. However, it is just awash with swear words; I don’t mind them, but I hate the idea that the swear words might be the reason why a child (or that child’s parent) couldn’t draw the important truths from that book. It feels, often, like I cannot find the in-between: there are elementary-level chapter books that are sweet and fun and joyful, but (often) not really works of great thoughtful importance. Then, almost all of a sudden, kids jump from that into YA. 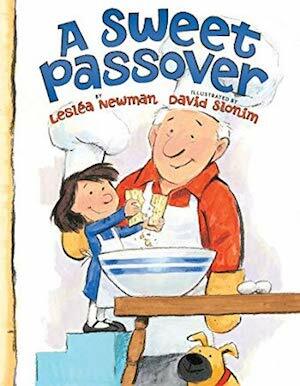 I want to find more books that are truly in the in-between, something that can ease kids into great story without all the stuff that raises their parents’ eyebrows. I’m not for banning books or even for banning specific kids from reading books, but I do think there ought to be more options that aren’t traumatically violent but still have incredible storylines, especially in the YA dystopia genre that is so wildly popular with middle school audiences. I think that lots of good writing is being done, but I just want more: more thought-provoking literature that isn’t also making kids grow up too soon. Is This Too Idealistic? Maybe. I’ve often thought that maybe this is too silly of a wish. I might be wishing kids could stay “young and innocent” for longer than any kid reasonably can in this day and age. I know that lots of kids don’t have the option of avoiding real-life violence, much less avoiding it in the books they read, so perhaps this is an unnecessary pipe dream. Most likely, though, kids who encounter a lot of violence in real life wouldn’t mind a book or two that engages them fully but doesn’t rely on gore for its conflict. Thinking all of this through has really put me in a place to ask what reading for pleasure is for; what purpose it serves. Certainly, it is entertaining, and a lot of kids pick up—for example—YA dystopian novels just to have that edge-of-their-seats rush. Perhaps the fact that I am usually teaching a creative writing craft class is the reason that I long for more go-to “in-between” books, ones that my students can pore over in order to learn more about how to write well. I’m picking the book for 20 kids, often very different from one another. Most of them won’t tell me if violent books are triggering for them in some way, so it feels safest to find a book that doesn’t trade in excessive violence. Though maybe safety isn’t something I can guarantee with any book…as books always have the possibility of destabilizing a worldview. If you think of some, share your favorite middle school reads that are high-quality writing but don’t focus on gratuitous violence and tragedy. Kids can handle more than we think, but I always like to have a good list of books that won’t make a child who already has a lot on their mind feel worse. If you can’t think of any personally, maybe be the person to write this book; I’m trying to do the same. Grandparents are special. They dry our tears, always have a hug, and give us unending chocolate. In the best scenarios, they support us and adore us, and we in turn support and adore them. I remember jumping rope with my gigi and holding her hand on walks; puttering around my gidaddy’s old electronic shop; going to the circus for the first time with my nana; and watching my grandpa put up a fence. I was lucky as a child to have four living grandparents, three of whom are still alive today, and my daughter is lucky in the same way. She will grow up surrounded by family, knowing how proud they are of her, no matter what. And I mean that literally. I was talking on the phone with Nana the other week, and she said she was so proud of Marian (my daughter) for being so smart. And then she said, “But you know, I’d be just as proud of her if she were dumb.” Lol, thanks Nana. Did I mention that grandparents are also honest? 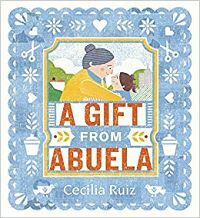 These children’s books about grandparents show city-hopping nanas and gardening grandpas, dolphin-riding grandmas and science-minded grandfathers. They also show grandparents in transition, from moving in with their now-adult children to dealing with disabilities. And grandchildren mourning their deaths, for these are often the first deaths our children mourn. I’ve separated those out at the end. You’ll need your tissues handy when you read those. This board book is perfect for little hands. Each page gives something special Grandma does—”Grandma sends me mail”; “Grandma cuddles with me”—along with a colorful, playful picture of a child with their grandmother. It’s sure to make Grandma feel special when she reads it to her grandchild, who already knows they’re the best thing in the world because everyone always tells them so. What do you do when your grandmother gives you a lemon tree planted in an old coffee tin for your birthday instead of the million other things you wanted, like a robot!? This little girl definitely won’t throw it away (okay, that was one of her first thoughts). Instead, she creates a business and a beautiful garden with her super savvy grandmother. The book includes a recipe for lemonade in the back! I haven’t researched Brantley-Newton, but after reading this, I’m convinced she’s had at least one toddler living with her. Because toddlers LOVE going through purses. Minutes after my mom sets down her purse, my daughter will be picking through it, finding all the treasures. I own the picture book version of this, but there’s a new board book edition shaped like a purse. So cool! Mayuni may not live in Japan with her grandfather, but she visits every year to help tend the stone garden he built in honor of her birth. 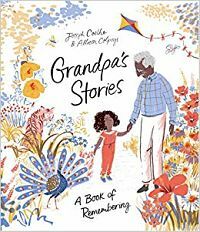 But then one summer she visits and everything is dusty, the stone garden in disarray, her grandfather ill. A sweet and lovely picture book about the bond between a grandfather and his granddaughter. This book is extra special because it contains some words in Nlaka’pamux. The author’s note explains that the Nlaka’pamux indigenous peoples are part of the Interior Salishan peoples in what is now called British Columbia. 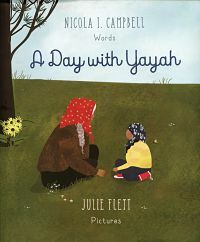 In this picture book, Yayah passes down her knowledge to her grandchildren on a mushroom hunt. I recommend this book for upper elementary ages. Do your children have sibling jealousy? Because the protagonist in Stardust feels like her older sister does everything better than she does, and that everyone knows it. But when her grandfather explains how she’s really a star, and where stars come from, she knows she must be special. This is a perfect collaboration of text and illustrations. And science! 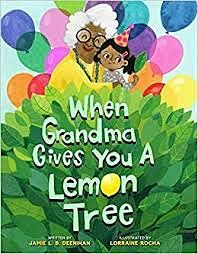 In this colorful board book, a little girl can go anywhere with her grandmother, as long as she’s tucked into her arms (and a good book helps too). From pink clouds to Mars, these two travel anywhere they want. 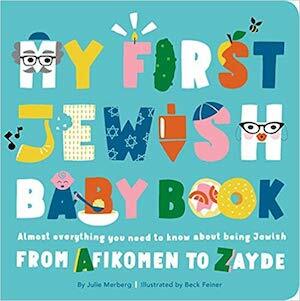 This is a great book for babies and toddlers. 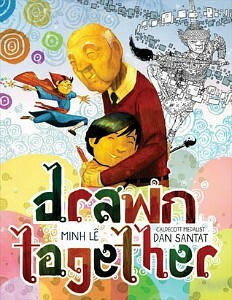 The language barrier between a little boy and his grandfather engulfs them in silence, until they begin to draw together and magic happens. This picture book is so beautiful and sweet. The story alone pulls on my heartstrings, but then add Dan Santat—one of my favorite children’s book illustrators—and this book is perfection. And the back end page can be colored in! On a trip to Central Park with her Abuela, a little girl imagines a flock of birds carries her and her grandmother into the sky, and they fly through the city, waving at people waiting for the bus, circling the Statue of Liberty, and buying limonadas at her tio’s shop. Illustrated in bright, childlike collages, this one is a classic for a reason. Nora is bored bored bored, but when her grandmother tells her there’s a tiger in the garden, she and her BFF Jeff the giraffe go on an adventure, and find that imagination is the best cure for boredom. 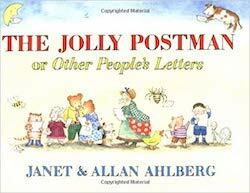 This book makes me remember my own childhood, and both my daughter and I love the illustrations. Marian has been pulling this book out to look at a few times a day. We even recently reviewed it. This one made me cry. I knew nothing about the devaluing and change in currency in Mexico until reading this. It isn’t the first time I’ve learned things from my daughter’s picture books. 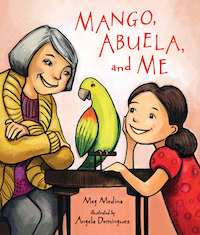 The Abuela in this story sets aside money from every paycheck for a special treat for Niña. But when times get hard in Mexico, things change. But that doesn’t break the bond between the two. The pastel illustrations with geometric shapes reflect the nostalgia of the lovely story. I’m pretty sure my daughter would disown me if I didn’t include a Llama Llama book on the list because they’re her absolute favorites, though she’s one—what does she know? But seriously, these Llama Llama books have a cadence that mesmerize children. In Gram and Grandpa, Llama Llama is having a blast with his grandparents, until he realizes he left his fuzzy llama at home. There ensues some llama drama, but thankfully, these two know how to handle it. This is the grandma book of my own heart because I really want to be left alone for five minutes please for the love of all that is good go away. Will I ever be alone again? If this grandmother hasn’t had a moment alone in decades, it doesn’t look promising for me. I need to borrow her wormhole. Seriously though, this book is very true and very funny. As Mei Mei’s grandfather practices tai chi in the garden, she watches curiously. Soon he’s teaching her the moves and she’s practicing alongside him. She makes up for her lack of calm with her exuberance. This one will have you smiling. Few books look at depression in the elderly. In Joy, when Fern’s nana has to use a wheelchair, she loses the smile Fern loves. When Fern’s mother mentions that Nana needs some joy, Fern decides to try and catch some for her. But joy isn’t so easy to catch. This book is as vibrant, emotional, and uplifting as the art is colorful. It’s a really gorgeous book. Cities are scary—so many people and loud trucks and new smells. The protagonist doesn’t want to stay overnight with his Nana. But his Nana shows him the city through her eyes and ears and nose, and by the end of his visit, he sees how cities can be beautiful. The watercolor illustrations capture the vibrancy of a city at fall. I call one of my grandmothers Nana, and I can remember being a bit scared when I stayed overnight with her. This book will ring true for many children. When Mia’s grandmother moves into her house to live, there’s a big problem. Abuela doesn’t speak English, and Mia doesn’t speak Spanish. But with the help of a feather, a parrot, and post-it notes, these two form a bond of love and friendship. So sweet. A child retells his great grandfather’s life. What really makes this picture book special are the illustrations. In each scene, the topiary from Grandpa’s garden depicts what’s going on in Grandpa’s life story, from a topiary turning into a little girl the Grandpa kisses, to planes flying by in WWII. “Grandpa says circles are all around us. We just have to look for them. He points to the rainbow that rises high in the sky after a thundercloud has come. He traces the colorful arc with his hand and says, ‘Can you see? That’s only half of the circle. 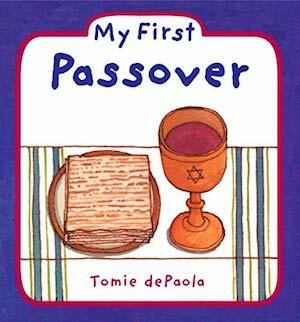 '” Sometimes picture books are as lovely and poignant as a poem. That’s how I feel about All Around Us, where a grandfather explains the cycles of life and nature to his granddaughter. The illustrations are mesmerizing. 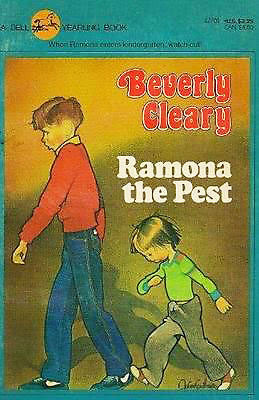 Most of the picture books I’ve chosen are newer, but I had to mention this classic. 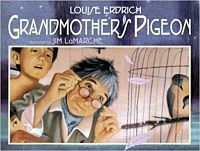 I remember reading it as a child, and as the daughter and granddaughter of two bird watchers (who would eventually turn into a bird watcher herself), many daydreams ensued about what exactly Grandmother had been up to, and what powers the birds around me might possess. Louise Erdrich is probably well known to Rioters, so you know you’re going to get a memorable story with this one. How many recipes for chicken soup could there possibly be? Sophie loves her Bubbe’s Jewish chicken soup with kreplach, and she loves her Nai Nai’s Chinese chicken soup with wonton. When she brings the two grandmothers together, they discover there are more similarities between their two chicken soup recipes than anyone had previously thought. And the best thing about this already fun book? There are recipes in the back! Yum. Or Mmmmmm, as my daughter would say. A little girl remembers her grandmother teaching her how to cook rice, walking her to the bus, and telling her stories about her life in China. But her grandmother is now gone, and instead, she’s left with these special memories. To honor her memory, the girl’s mother decides to follow Chinese custom and leave the lights on outside the house in case the grandmother’s ghost wants to say goodbye. Illustrated in soft blues and grays, this is a poignant book about dealing with loss. “If all the world were dreams, I would mix my bright Grandpa feelings and paint them over sad places.” This picture book is stunning, from its gorgeous and colorful illustrations that feel like they need to be framed and put on the wall, to the gentle lyricism of the text. In it, a little girl remembers all the wonderful games she played with her grandpa, and the stories he told her about India. It’s also a story about mourning the death of a loved one, and celebrating their life. You will need the tissues handy when you read this one. More for yourself than your little one. Tommy’s great grandmother stays mostly in a bed upstairs, and his grandmother mostly stays in the kitchen downstairs. Thus, he calls them Nana Upstairs and Nana Downstairs. He loves them both so much. 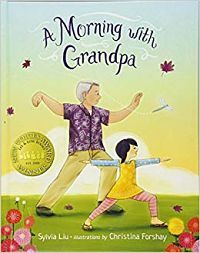 This is a book about taking care of grandparents, and also about how to heal from the death of a grandparent. Asha travels from California to India to mourn her grandmother’s passing. She brings her yellow suitcase, the same suitcase she fills with goodies to give to her grandmother every time she visits. But this time, there’s no grandmother to give them too. Yet by the end of the story, the suitcase is filled. This is a bittersweet picture book balanced by bright, child friendly illustrations. 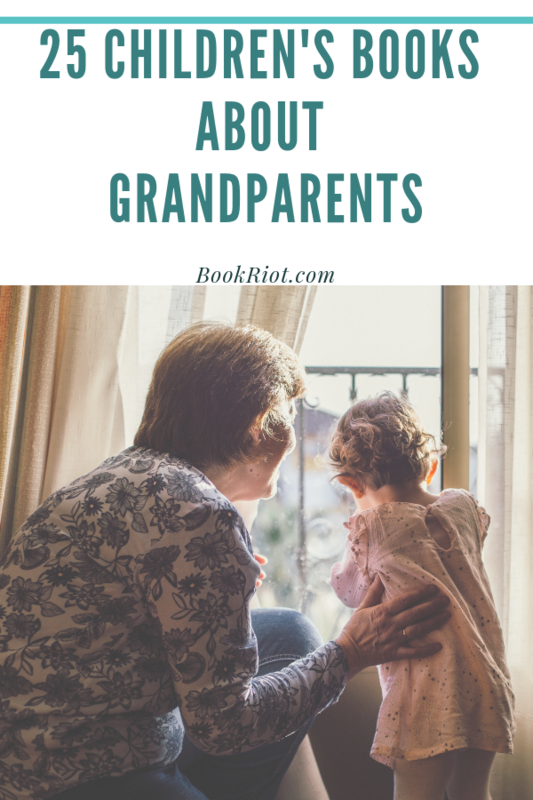 Do you have a favorite kid’s book about grandparents? Makerspaces, also known as ‘hackerspaces,’ refer to spaces used by members of the public for content creation. They are community spaces where people can gather to collaborate, share resources, and create new objects or knowledge using a variety of tools. In the early to mid- 2010s, makerspaces were the great new trend in libraries. There was a new focus on library users as citizens and creators instead of just readers, scholars, and consumers. The physical spaces and architectural forms of the library were also changing, with newer libraries being designed with more open spaces, more lighting, and soft furnishings. Additionally, there was a move towards designating ‘makerspaces’ and creative spaces in libraries. The emphasis of public libraries as a site or resource for content creation is highlighted by the 2015 National Library Week in the US, when libraries and library users were encouraged to share on social media what they have created using library resources and tag the posts with the hashtag #librarymade. One of the great things about makerspaces, and why I think they work well in libraries (whether public, school, or state libraries), is because one of the core requirements of using a makerspace is the same as one of requirements for using books, another of libraries’ resources — imagination. There is value in creative thinking, problem-solving, imagination, experimentation, and play. They allow us to think of new possibilities and creations. This is especially so when we consider how our kids might be spending their free time. Do they have opportunities for play, for invention, for problem-solving, for creativity, for imagination? Now Make This curated by Thomas Bärnthaler. The Broken Bees’ Nest by Lydia Lukidis, illustrated by André Ceolin. This is actually from a series called Makers Make It Work, which is about how kids use various maker skills to solve problems they encounter in their everyday lives. Each title has a different theme, like chemistry, woodworking, robots, and sewing. At the end of each book are tips on how you can do the project yourself. The Broken Bees’ Nest is my favourite from the series and is about two kids who find a bees’ nest that was falling apart, and they enlist the help of a local beekeeper to help the bees into a new hive. The subtitle of this book is ‘How Les Paul Engineered the Solid-Body Electric Guitar and Rocked the World’, and that pretty accurately sums up the book. When Les Paul was a young boy, his piano teacher sent him home with a note saying that he will never be musical. His mum told him not to listen to her, that he is going to be great, that he can do anything he puts his mind to. The story (and book) continues with Les Paul trying out various inventions before landing on the invention that changed the musical world. The book is beautifully illustrated, and the colour and vibrancy of the pictures marry well with the energy of the story and music. This is a simple and cute picture book about an elephant who just wants to play and do fun things. Her elephant friends are kind of party poopers, giving various reasons for why they can’t play. So Min uses her creativity and imagination to invent a device that allows their swimming pool to fill up with water from a nearby well, and then she and all her friends can splash and play. This book won’t really help makers actually build a device that moves water from a well to a pool, but I do like the message of problem-solving and doing rather than complaining. 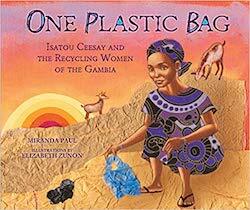 One Plastic Bag by Miranda Paul, illustrated by Elizabeth Zunon. This is a wonderful true story of how one harmless plastic bag can turn into hundreds of plastic bags that end up ruining the environment, and what one African woman did to alleviate the problem. Isatou Ceesay saw the damage plastic bags was causing, so she and a group of women from her village set about cleaning the bags and crocheting them into purses — turning rubbish into a valued product. I’m including this book on this list because it highlights how ingenuity, creativity, and making things can do great things for the planet. A great picture book that celebrates leaves and nature and autumn (well, it doesn’t technically mention autumn but the leaves are all autumnal colours so that’s what I’m going with). Leaf Man is simply a collection of leaves that is shaped like a man, going where the wind blows. There is inspiration in here for using objects found in nature to create art and projects — perhaps not quite the same as building a robot or using a 3D printer, but I think there is also attraction in simplicity. A boy has an idea and he doesn’t know what to do with it. He’s a bit scared of it, and worried about what other people might think of it, but eventually he loves it and feeds it and one day the idea is set free. This is a gorgeous picture book with a lovely message that can inspire all makers — that ideas can change the world. 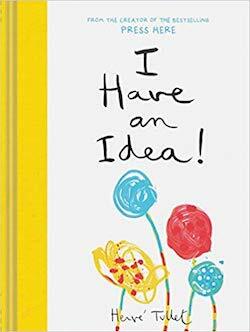 Similar to What Do You Do With An Idea?, this is a book that encourages us to keep teasing our ideas and letting them grow into something big and wonderful. Tullet used paint and minimal colours to create a lively book where it feels like the ideas are leaping off the page. Baby Loves Coding by Ruth Spiro, illustrated by Irene Chan. This book is targeted at the youngest makers, and introduces programming concepts to babies. It’s a fun board book that breaks down what an algorithm and what programming is to its most basic components. 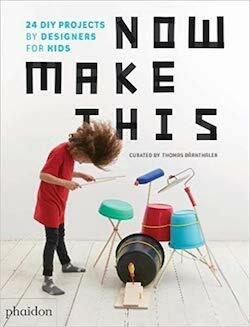 It’s never too early to get children started on creating and making, right?